The savings made by installers of loft insulation, new boilers and cavity wall insulation may only be half the amount promised, but there is one area where many households are keeping warm and cutting their bills – by taking advantage of feed-in tariffs. Chris Handel, 44, a chartered surveyor from Brighton and his wife, Hilary, 52, have doubled the size of their home in recent years by extending, but their energy bills are half what they were before they started. Crucially, the couple have combined insulation measures with a determined effort to change their habits as well as installing solar panels. "Before we began extending and renovating, our home was cold and draughty and in a single winter we spent £2,000 on gas and electricity," says Chris. So when they started designing their extension, the Handels decided to tackle their home's draughts too. Draft proofing and insulation combined with modest behaviour changes – "switching stuff off", as Chris puts it – really cut bills "with no quality of life sacrifice at all, quite the reverse in fact". He adds: "We have a more comfortable house with no cold rooms and cash to spend on other things." Installing photo voltaic (PV) solar panels means the couple now generate their own power, selling excess power back to their energy provider under the feed-in tariff scheme. The Handels make £1,200 a year from feed-in tariffs, more than enough to cover their water, gas and electricity bills. But their solar panels weren't cheap – they cost £12,000 to buy and install, so it will be 10 years before they expect to earn their money back. One obvious drawback to solar panels is Britain's variable sunshine record. So when Derbyshire couple David, 49, and Felicity Brown, 51, decided to transform their farm and holiday homes at Hoe Grange, Matlock, into eco-properties, they fitted a wind turbine as well as solar panels. Installing a wind turbine on your roof costs from around £2,000, whereas a freestanding system will generate more power but costs upwards of £15,000. "Investing in wind and solar electricity production means we are now 60%-70% self-sufficient when it comes to electrical power," says David. He has spent around £140,000 on renewable energy systems that power his farm and four holiday cottages. But despite the huge cost, the savings are impressive. 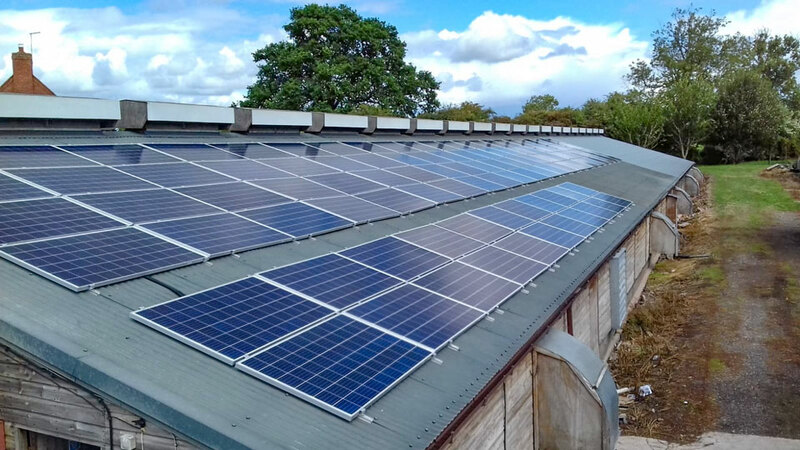 Ground and air source heat systems save £5,000 a year in heating bills, and only cost £500 a year to run as they are largely powered by the farm's solar and wind power. The couple also saves £2,000 a year on electricity bills and, thanks to a water borehole, £5,000 a year in water bills. As they have a large wind turbine and solar panels that move with the sun, they also make up to almost £9,000 a year in feed-in tariffs. Both families are planning to move closer to being entirely self-sufficient. The Handels are counting on technology advances. Says Chris: "My big hope is that shortly economical battery storage will be available for PV solar-panel owners, which coupled with diligently managing our demand for energy would allow us to be off-grid for six to nine months of the year." He disagrees with the critics who say pricey insulation fails to save on bills. "It was easily the most cost effective measure we took, it roughly halves our gas bill, saving us £500 a year and our living quality has been transformed. Getting serious about energy efficiency at home is now a no-brainer," he says. "I'm always surprised it is not more popular." While feed-in tariffs in the past were generous, they have been steadily cut by the coalition government, partly to reflect the fact that installation costs have come down. Payments are also now dependent on the energy efficiency of your home. Homes installing a system today – and receiving an Energy Performance Certificate rating of C or above, now receive 14.9p per kilowatt hour (kWh) they generate – compared with the 41.3p offered when the tariffs were introduced in 2010. If your home is less energy efficient – bands D or below – you will be paid just 6.61p kWh. Those getting the higher rate, and installing a typical 3kW system (costing £4,000-£5,000) before 1 April, will receive an income of around £500 a year – assuming they have a south-facing, non-shaded roof and they live in the southern half of the country. The exact amount earned varies according to local conditions. 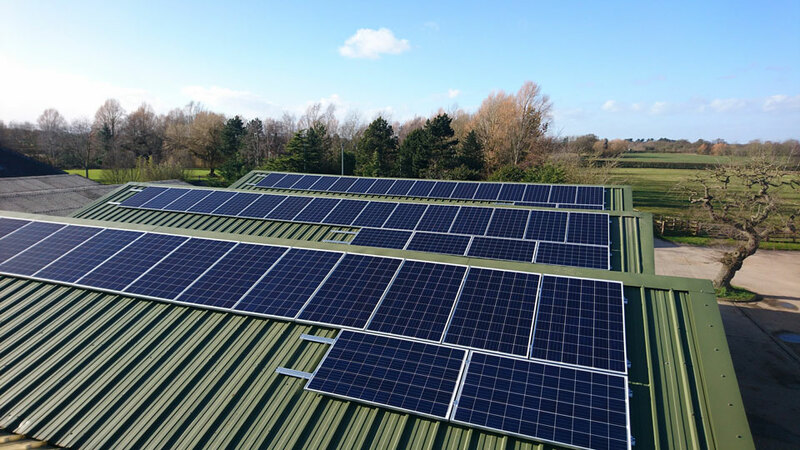 Out of that £500, £370 comes from the feed-in tariff, with the rest from reduced bills – you get to use any power produced for free – plus the export tariff that pays householders for the power passed to the National Grid. Households in band D or below will pick up only around £300 a year. The tariffs, which run for 20 years and rise in line with inflation, are paid, tax-free, by the electricity supplier. Rates could change after 1 April.